Girls just want to have fun and what better way do it than in a Pink Hummer limousine. Nothing beats quality girlie time with your girl friends so why not get a group together and hire our Pink Hummer with Prom Limo Hire. This is a super girlie vehicle; it oozes girl power and stands out from all the rest. Inside is stylish, comfortable, and spacious, there is plenty of room for you and your guests to stretch out in the back and relax in its luxurious pink leather seats whilst enjoying soft drinks. 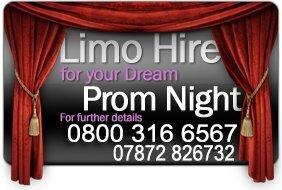 This vehicle is provides great transport for your school prom and has the capacity to cater for up to sixteen passengers (male, female or both). 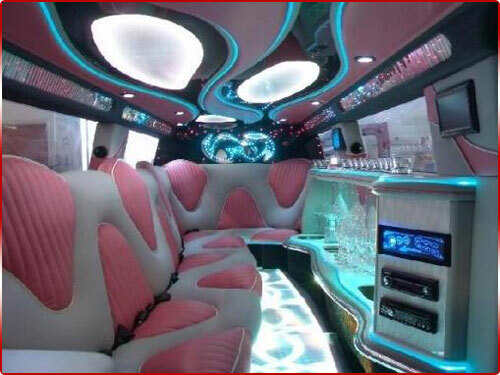 We are confident that the fun will begin as soon as you step inside the Pink Exotic Limousine. The journey to your destination will allow you and your girlfriends time to enjoy your limo and use its number of gadgets such as the DVD player, CD player, Disco lighting system, flat screen TV and refreshments from the complimentary bar i.e. a soft drink or glass of champagne. Our chauffeurs have the necessary experience, knowledge and appearance that are needed to satisfy you needs. 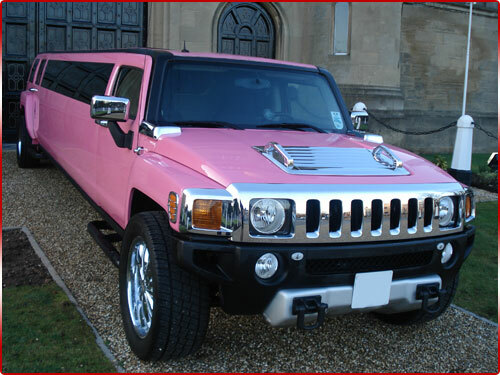 Hiring a Pink Hummer with Prom Limo Hire is a great way to for girls to travel together to your school prom. It will certainly give you and your guests the feel good factor when having spent quality fun and enjoyable time together. Just imagine enjoying and listening to your favourite music en route to your destination whilst catching up on all the gossip with your friends or just having a good old sing a long. Your gorgeous, this vehicle is gorgeous so hurry and hire with Prom Limo Hire and make your occasion extra fun and enjoyable as you travel to your destination in a Pink Exotic Limousine. 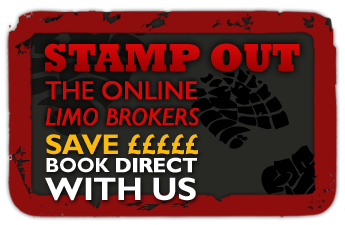 We offer our services to most towns and cities in and around the Midlands including Limo Hire Leicester, Limo Hire Birmingham, and Prom in Lincoln, Prom in Sheffield plus many more.